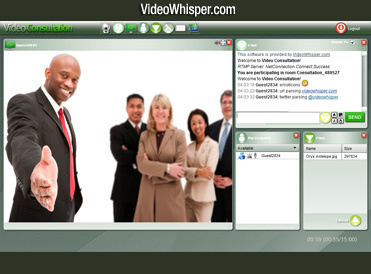 Integrates VideoWhisper Video Recorder. Allow users to record webcam videos. Includes comments, rates, tags, integration with Video plugin (if active). Requires RTMP hosting. In addition to regular web hosting required for oxwall, these applications need a rtmp hosting plan on a flash media server for video streaming (Wowza, Red5, Adobe). Red5 is NOT recommended for recordings. Read more details about rtmp side setup and hosting options on plugin homepage. 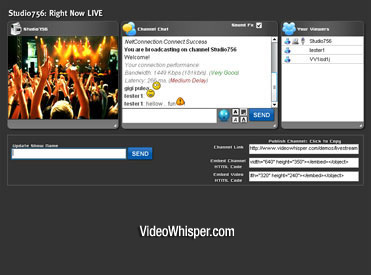 Allows users to create VideoWhisper Live Streaming channels with comments, rates, and tags. Requires RTMP hosting. In addition to regular web hosting required for oxwall, these applications need a rtmp hosting plan on a flash media server for video streaming (Wowza, Red5, Adobe). Read more details about rtmp side setup and hosting options on plugin homepage.